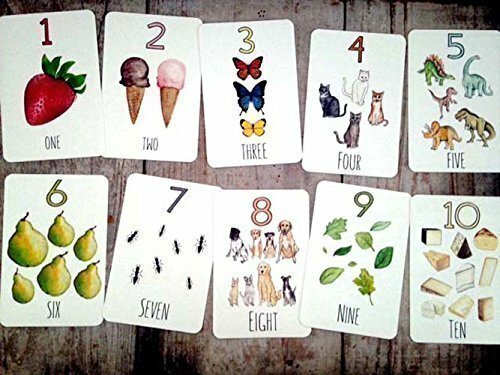 This set of 10 Number flash cards are perfect to help children learn letter recognition and counting. Each card features an original watercolor illustration painted by Stephanie Hathaway.They are printed on 130lb, 17pt, acid free archival quality, 97 bright white card stock with rounded corners. They're sturdy enough to use as flash cards and pretty enough to display! Each set comes in a lovely cotton bag for safe keeping or ready for gifting! If you have any questions about this product by Stephanie Hathaway Designs, contact us by completing and submitting the form below. If you are looking for a specif part number, please include it with your message.